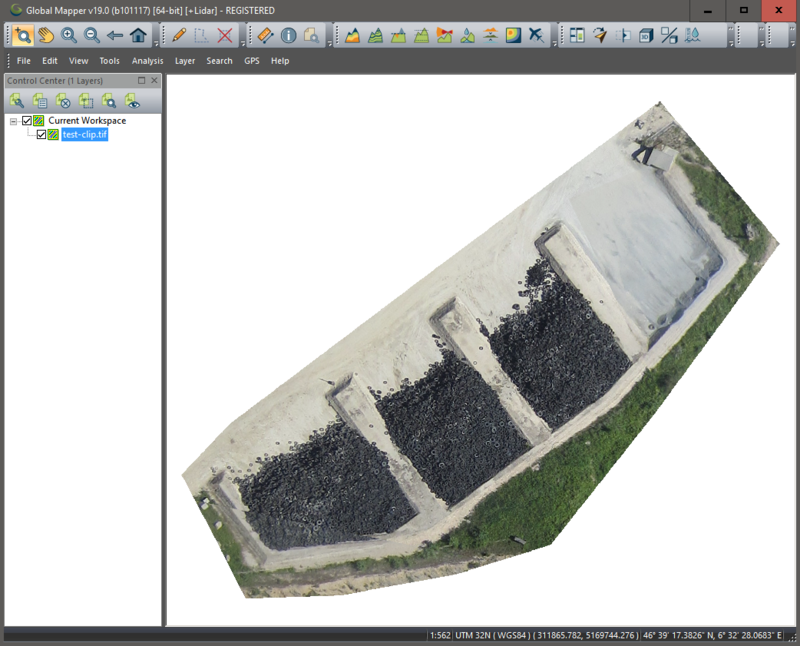 Once photogrammetric processing has completed, the digital elevation model will be available. 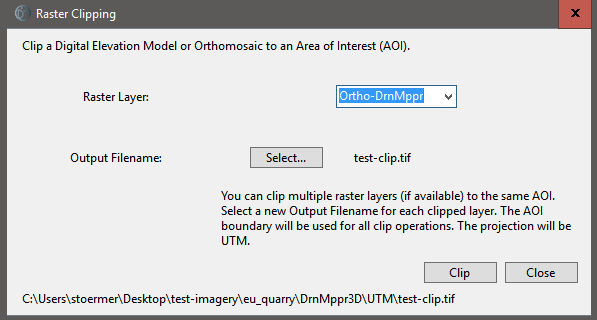 You can select an Area of Interest (AOI) using either the Digital Elevation Model or the Orthomosaic layer. Navigate to the “Create AOI” tool and click to begin drawing your AOI. You can choose which available layers you’d like to clip to a smaller AOI. The AOI you created will be used for each of the clipping operations. 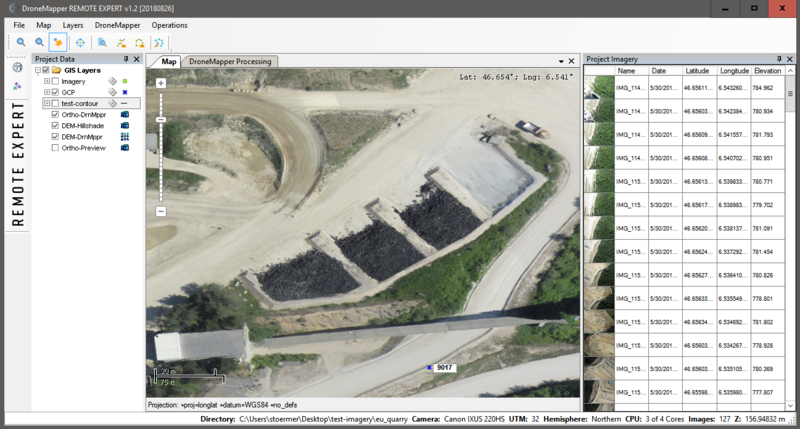 You will also need to choose a filename to save the newly created GeoTIFF files.